​ Under the direction of Wayne C. Fox, the band performs traditional band music including overtures, marches (many composed by John Phillip Sousa, who visited and conducted the band on at least one occasion), show tunes, and stirring patriotic and sacred selections. Concertgoers who hear the band for the first time, or who perhaps have not heard the band for a number of years, invariably comment on the exceptional quality of the music and the professional level of the performance. In the past several years, the band has played concerts for the public at various locations in the Lebanon and surrounding areas. 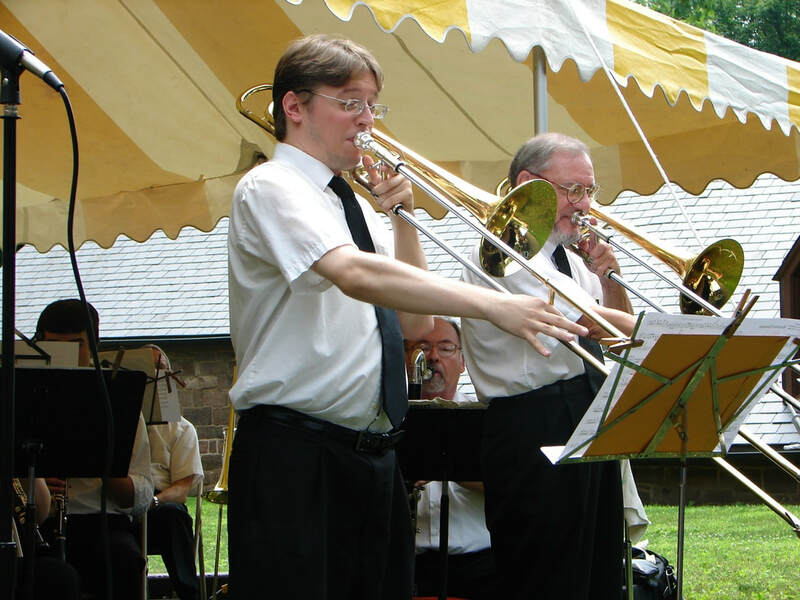 Among these are Coleman’s Park, the Cornwall Manor Concert Series, Monument Park, Spang Crest, Stoneridge Retirement Community, the Masonic Village in Elizabethtown, Willow Valley, and Downtown Lebanon, Mountville, and Palmyra. Performances have also taken place for residents of local institutions such as Cedar Haven and the Veteran’s Administration Hospital. In June of 2008, the band travelled to New York City to perform in a recital by former band member Chad Smith who now performs in the pit orchestra for shows on Broadway. Most of the finest musicians in the area play with the band. The Perseverance Band is listed with local 401-750 of the American Federation of Musicians.